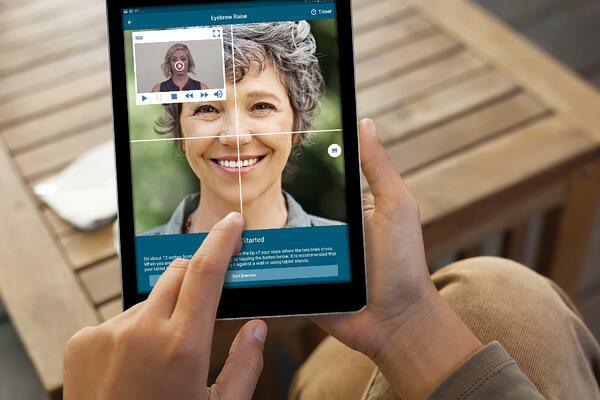 The Face2Face Facial Palsy app is a tool designed to supplement treatment for facial paralysis caused by Bell's Palsy, stroke, and acoustic neuroma. The solution uses mirror biofeedback therapy which has been linked to positive outcomes in the treatment of idiopathic facial palsy. Many patients with facial palsy avoid mirrors due to the anxiety of looking at their asymmetric facial features. Face2Face Facial Palsy App mirror the healthy side of the face over the unhealthy side; which allows for patients to exercise their facial muscles, while seeing their face wholly healthy.